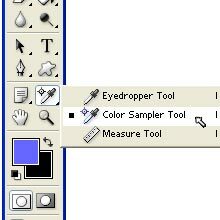 Color Sampler Tool is just below the shape tools and beside the pen tool.This tool is a color selection tool.With the help of Color Sampler Tool, we can use up to four color samplers to display color information for one or more locations in the image.With the help of this tool, we will get all the information about the selected color sampler. This is the Color Sampler Tool.Just go onto this tool and click on it to select it. 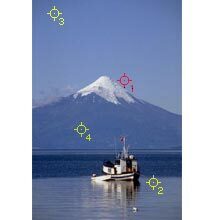 We can place upto four color samplers on the image.For example, place this image. Select the color Sampler tool, click on the selected place of the image.After clicking the tool, we will get all the information of the color in a seperate palette. 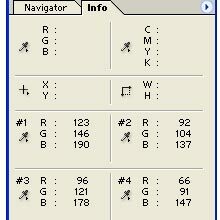 We can view the color values under the color samplers of the lower half the information palette.